Despite only releasing three EPs in their brief existence during the first years of the 1980s, the influence of New York’s Liquid Liquid has proven surprisingly pervasive with the passing of a quarter century. Google them and the most common piece of trivia you’ll find is that they supplied the music to one of the seminal tracks of early hip-hop. The story goes that when pioneering DJ Afrika Bambaataa played their song Cavern at the Roxy nightspot in Manhattan, a certain Grandmaster Flash was within earshot. Liking what he heard, Flash got the Sugarhill band to re-record the now famous bassline for White Lines (Don’t Do It), one of the first socially conscious rap hits. But, as befits their name, Liquid Liquid’s cultural legacy was far more fluid than a single donation to the early history of rap. Their deeply rhythmic, primordial funk style – coloured by their exposure to the latino and black conga buskers of the Bronx – seeped into the New York art-rock scene, at a time when Talking Heads, its most popular group, were embracing the tight beats and polyrhythms of black music. More recently, LCD Soundsystem‘s James Murphy has forged a percussion-heavy aesthetic that owes much to Liquid Liquid, and is most obviously heard in the shrieking vocals and cowbell clatter of other bands on the NY scene like The Rapture and !!!. So it’s fitting that such an influential but largely forgotten group can now be fully appreciated in this retrospective release, which takes in the best of the EPs, seven live recordings and nine previously unreleased tracks. The album begins with Groupmegroup (imagine an African tribe beating their drumskins in a vaulted cathedral), which shows Liquid Liquid were as much at home in the barren sonic terrain of post-punk as they were in the vibrant jungle of funk. As self-regarded experimentalists, the band could certainly veer towards the abstruse, as on the plain weird Lub Dupe; but following track Bellhead finds them doing what they do best: instrumental funk that is somehow both energising and unnerving. Slip In and Out of Phenomenon really hits its stride halfway though, with the monolithic triad of Optimo (the latin groove from which the Scottish club takes its name), the aforementioned Cavern, and Scraper: a rumbling bass hook under marimba improv, interspersed with Sal Princiapato’s incantatory vocals – all set to maximally primal effect. The album loses some of its inherent mojo in the grainy live recordings of the final third, but, to be fair, these are listed as bonus tracks. The meat of the album proper is itself a work of extraordinary creative and rhythmic force that far exceeds the tired predictability of most retro compendiums. This is certainly no dusty relic for the hyper-serious historiographer; it is music of the soul and of the body, and it sounds as urgently progressive and low-down dirty now as it must have done to the Flash all those years ago. Slip In And Out of Phenomenon is out now on Domino Records. As renowned producer and DFA boss it was inevitable that James Murphy would emerge from behind the mixing desk as his reputation grew, and so LCD Soundsystem began life with 2005’s self-titled debut LP. But as much as that record sounded so infectiously hip, it lacked much in the way of emotional complexity – all party, no comedown. 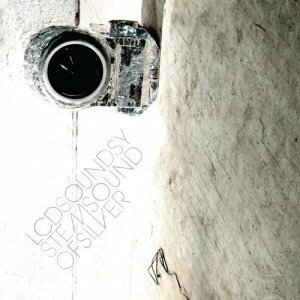 This year Sound of Silver remedied the deficiency and then some, with a new lyrical self-awareness and honesty planted squarely behind all the cowbells and throbbing synths. Of course it’s hugely derivative, but that’s perfectly forgivable when it’s measured reinvention – not imitation – of Murphy’s New York-dwelling heroes, from the Steve Reich minimalism of All My Friends to the Talking Heads electro-pop finesse of Someone Great. (It is a testament to the former song’s instant canonisation that it has been covered by John Cale and Franz Ferdinand already.) The pace only falters on the much-derided final track where Murphy’s fascination with his hometown stretches that bit too far towards self-indulgence. But this doesn’t lessen the plain fact that Murphy has now recorded a soundtrack to life, not just the dancefloor.